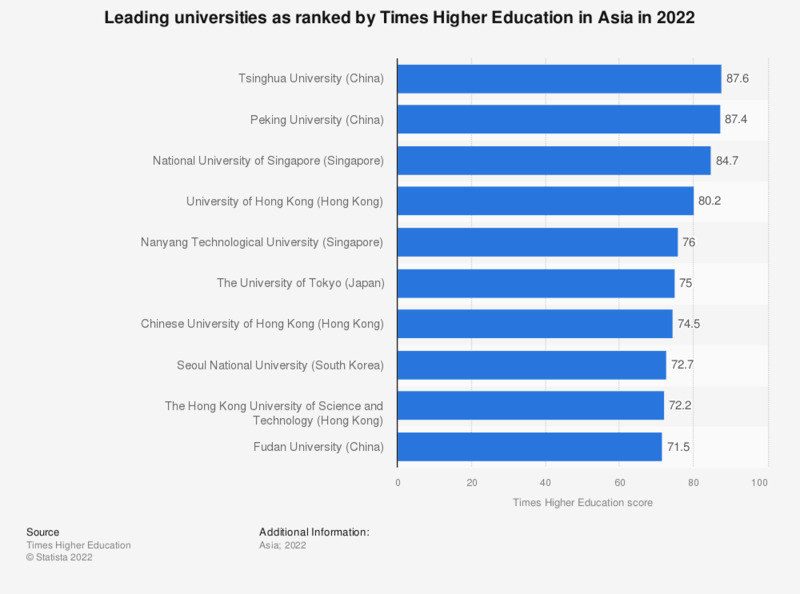 This statistic provides a ranking of the top Asian Universities as judged by Times Higher Education in 2017-2018. The highest ranked Asian University in 2017-2018 was the National University of Singapore with a score of 81.7. The number one ranked University in the world (not seen in this list) has a score of 100 and the scores of all other institutions around the world are expressed as a percentage of the top rating university's score. In this list only Asian Universities are depicted. To calculate the rankings the following criteria were considered. International Outlook (7.5%) staff, students and research.